I had heard of it. I knew that we sell a GaGa Pit at S&S Worlwide. I have listened to my kids tell stories about it in PE class. Yet, I still didn’t understand what ‘IT’ was! Is it like soccer with hands? Is it like handball? Is it dodgeball with no throws? “Big deal” I thought. Then our school’s PTO purchased one. Now that they got it, and I’ve played it. I get ‘IT’! I can now say that the GaGa Ball game is a blast and a huge hit with kids, getting them active while having fun. Isn’t that our goal? My first introduction to the GaGa Pit was when I showed up on a Saturday morning with Gator Skin Balls in tote to greet kids chanting “GA GA! GA GA! GA GA!” My kids gave me a run down on the rules of GaGa on the 5 minute ride to the school. The rest we might call ‘experiential learning’. GaGa Rules of Play are simple and the kids pick it up quickly. Before I list the rules of play and instructions, I just want to let you know that like any game, there are many variations to GaGa Ball. I am going to try and stay true to the way that we play, but I will highlight with an (*) in areas where there are popular variations. The best advice I can give everyone though is to KEEP THE GAME SIMPLE! The kids will have fun. To be the last player in the GaGa Pit. All participants enter the pit and touch a wall with both hands, waiting for the ball to enter play. Someone outside the pit/play space throws the ball in the air so it bounces close to the center. The ball is to bounce three times with the crowd chanting “Ga Ga Go” as it bounces. *Some people play with 2 bounces “Ga” “Ga”. Keep hands on the wall until the 3rd bounce. Once everyone can release from the wall, they can go for the ball or pick a defensive strategy. In order to move the ball, players hit the ball with their hands only, and may not carry or throw the ball – it should be hit with an open hand. The key here is to keep the ball low. * A big variation to this is to allow punching of the ball in addition to open hand hit. – Players can miss the ball and punch the ground which will increase their injury. – Changing rules between younger players and older players can get confusing when creating a game for many ages, so we keep it simple – open hand hits only. If you hit the ball and it touches someone from their foot to their knee, they’re out. If you hit the ball and it touches someone between their knee and shoulders, play continues and both players stay in the game. considered an above the knee hit and play continues. If you hit the ball and it hits someone above their shoulders, you (the person who hit the ball) is out. Once the player hits the ball, he or she must wait until the ball touches someone else before hitting it again (no double touches). If there are only two players remaining, a player may hit the ball up to 3 times in a row. The ball is “reset” by contact with the wall, and the hit count resets. It’s that simple. Many times the ball is just rolling on the ground being passed around and jumped over by players. 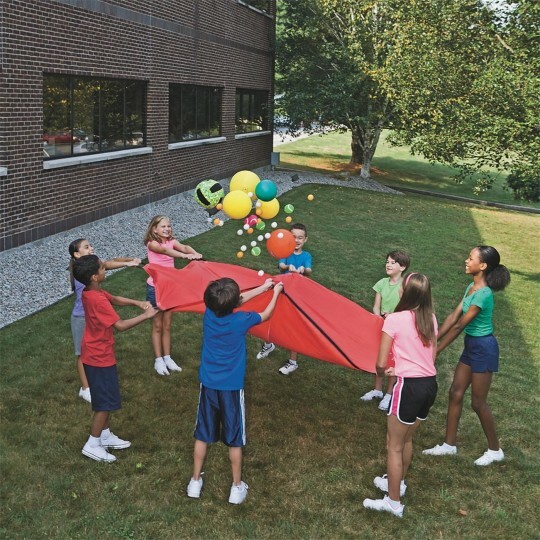 The kids are now playing in PE class, at recess, and after school. The parents are able to join in the fun after school, on the weekends, and during school breaks. One of the afternoons during our winter break I simply posted on the school’s PTO Facebook Page a day and time. We ended up having around 15 kids, ages 5 to 12 years old, with 5-6 parents. I’m not sure who had more fun, us or the kids! Use an open hand to hit the ball. Use a larger Gator Ball, like an 8″ or 10″. Introduce a second Gator toward the end of a round to make it go faster is play is slow and many players are waiting. 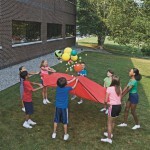 Finally, this family friendly activity has the potential to become a family fun night for schools or community centers. We are working on a Glow in The Dark Night Fundraiser at the GaGa Pit in which we use glow sticks on the walls and a couple of Glowround Gator Balls. HOW DO YOU GAGA? Let us know in the comments below. 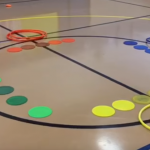 This entry was posted in Active Play, After School, Summer Camp and tagged active play, gaga ball, gaga pit, Games, physical activity, Physical Education, tutorials by Staff Blogger. Bookmark the permalink. We’ve been playing Ga Ga at our school for 20+ years and have never had an injury. The kids love it so they’re crazy motivated to get active. They learn how to play in Kinder and still play when they’re teens. I love the idea of “Glow in the Dark Ga Ga.” Definitely gonna try that one! We’ve done Ga Ga in teams to help build friendships and sometimes we play Ga Ga to encourage skill building. Here’s what it looks like: Game begins. If a player gets out, he or she is asked to complete a simple task (read a vocabulary word, do a simple math problem, spell a word, etc.) If answered correctly, he/she can reenter the game. Most teachers will continue to offer questions until the student gets one right. Generally they’re so motivated to get back in the game that when they answer a question incorrectly, they really listen to the correct answer so they don’t miss it next time! Hi Karma, thanks so much for sharing these ideas! They are great variations and additions to the Ga Ga game. It’s great to hear that kids love playing the game, and it helps them get active. I am saddened that S&S is peddling this game. 1. It’s an elimination game! The low skilled students who need the most help can’t practice. Inappropriate according to national standards. 2. A glorified game of dodgeball. 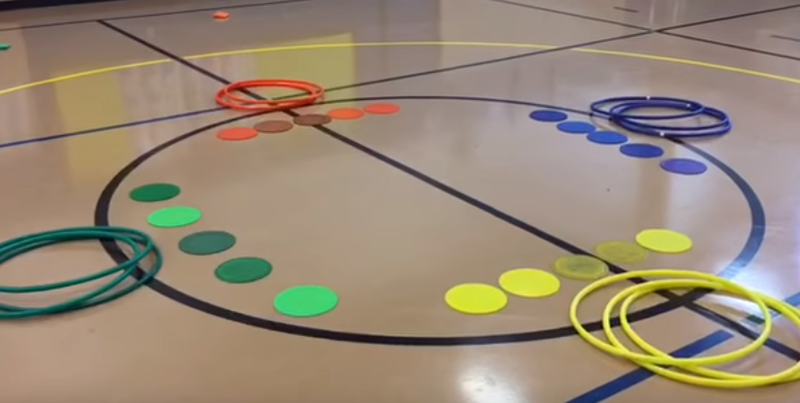 So you don’t throw it….you are still asking students to aim at others. Inappropriate to DAP guidelines too. 3. Students have less control when swinging at ball compared to throwing it. Dangerous with swinging arms. 4. Modification of rules do not answer the problem by keeping they player hit in the head in the game and putting the other out. It punishes the striker for not having skills with no way for teaching that skill. Meanwhile the other player was just got in the head! Those are just a few of my concerns. I love S&S but this was very disappointing! Dawn – We understand your concern for Gaga Ball and its close relation to the game of dodgeball. 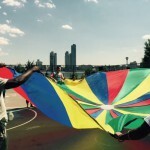 Many summer camps, after school programs, and recreation facilities are using the new popularity of the game to get kids excited about being active, and that is something that S&S Worldwide supports. We want to provide products that help activity directors, educators and parents get children moving. 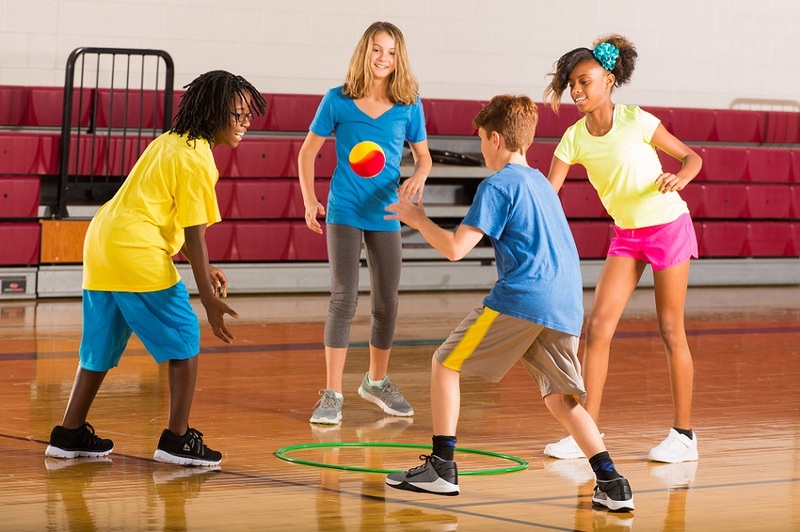 We stand with you in hopes that facilitators and “referees” of the game are making sure that in settings like PE class or camp, children that may not have the best advantage in the game are being coached and rules are in place to help encourage everyone to get involved. There are some really great variations to the game like being able to tag teammates back in, or those who get out, are still active in the game by being able to tap the ball from the outside of the pit. There are also variations similar to soccer where players are to guard different panels, and substitute in every few minutes. I would love to hear more suggestions from you or others on variations that can be used to encourage play at all levels in the gaga pit. This way we can offer tools to those that are including this as part of their programs to support the excitement children have about the game, and grow the excitement of children that may otherwise be discouraged by rules that are strictly about elimination. If you could provide a few suggestions, we can add them to the post to benefit everyone. Thank you!